Many students attend the University of Miami to learn how to become entrepreneurs. Miami is a diverse and multicultural city that attracts people from all over the world, so it’s a promising location for people trying to make it in the business world. Not only that, but the university itself has a plethora of resources to help these budding entrepreneurs on their track to success. In particular, The Launch Pad, a free consulting service offered by the Toppel Career Center, helps students turn ambitious ideas into reality. Class of 2015 graduate Yarden Sivan started The Brief Company, an underwear company that specializes in selling high-quality boxer briefs for men at affordable prices. Even though Sivan was a political science major and is currently applying to law school, he said he has always been an entrepreneur at heart. For Sivan, consulting with peers who were also starting their own companies helped him and inspired him. “As a student at UM, I frequented The Launch Pad for feedback on entrepreneurial projects. It always provided incredible guidance and structure, not to mention a set of questions every entrepreneur should ask himself or herself before delving into a business of their own,” Sivan said. Sivan and his business partner Justin Shouhed started The Brief Company when they realized that it was difficult to find affordable, high-quality underwear for men. 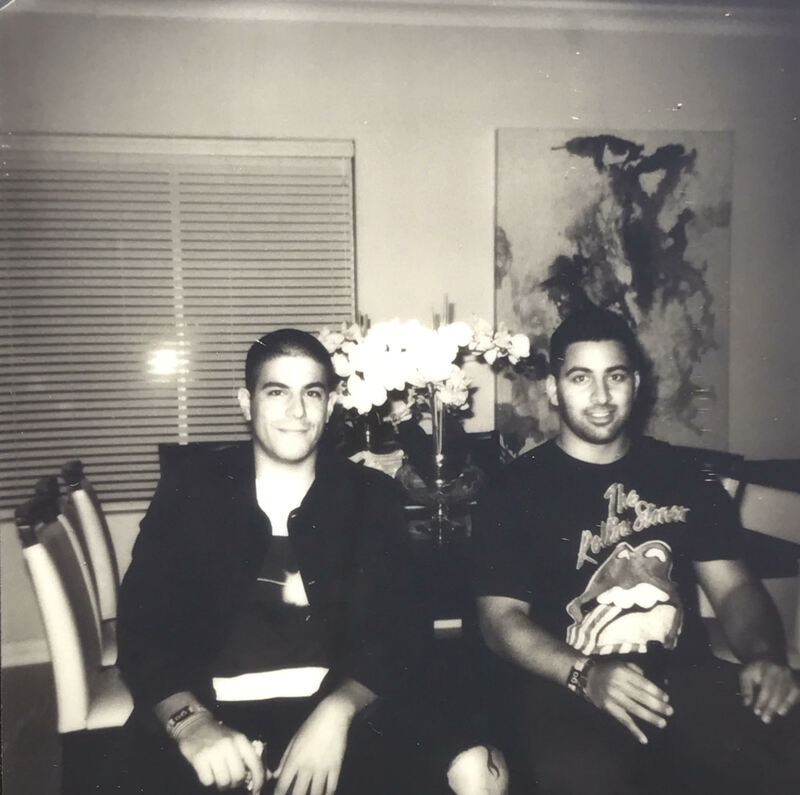 Recent UM alumnus Yarden Sivan (left) and business partner Justin Shouhed started The Brief Co., an online underwear brand for men that launched this month. Photo courtesy Yarden Sivan. “Until now, cost has typically dictated the quality of men’s underwear. The higher the quality, the higher the price. A troublesome dilemma for most, as every guy wants to feel comfortable without having to pay a fortune for underwear,” Sivan said. According to Sivan, top-tier brands cost upward of $35 per pair of boxer briefs, and cheaper, lower quality brands are hard to come by. The Brief Company, which launches this month, specializes in men’s boxer briefs whose layout combines those of top brands such as Calvin Klein and Mack Weldon. They can be found at TheBriefCo.com in packs costing $20-$75. From underwear to health and beauty, UM alumni have explored many different segments of the market with The Launch Pad. Milain David, also a 2015 graduate, created Eben Naturals, a multicultural, all-natural, cruelty-free and vegan skincare line based in Miami. David also took advantage of The Launch Pad to help him develop his brand. The Launch Pad does not make decisions for up-and-coming entrepreneurs, according to David. He said that the emphasis is placed on fine-tuning a student’s idea if it’s on the right track, or encouraging students to rethink basic ideas if it seems the idea wasn’t thought through completely. One of the great things about The Launch Pad, David said, is that once it seemed like he was getting some traction, David was able to present his ideas to a panel of coaches who grilled him with tough questions about his idea and followed up with honest, helpful feedback. The resulting company, Eben Naturals, currently sells three products: tonic lotion, facial cream and body lotion. They can be bought online at ebennaturals.com and products range from $13-$16. Eben Naturals’ products are specially adapted to the needs of people of color. Its motto is “Rule your skin,” tying into the company’s overall purpose of making customers feel confident in own skin. 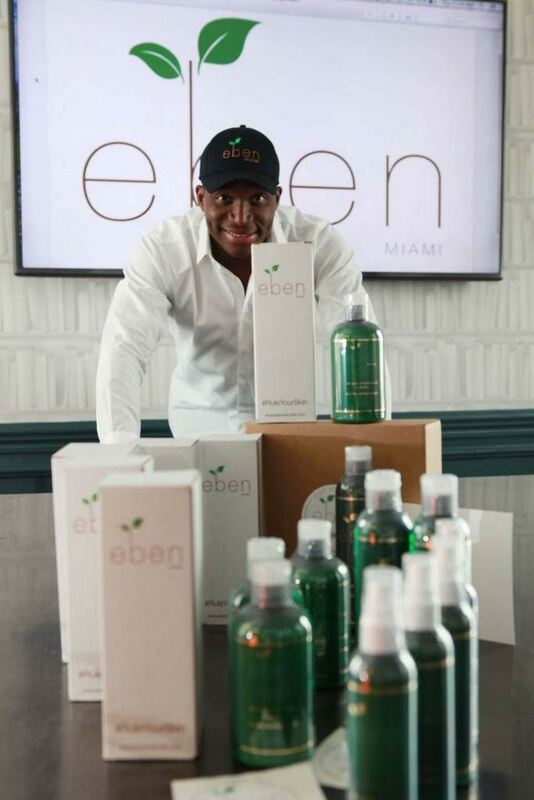 According to David, there are not many companies in the skincare industry that focus on the needs of people of color, so the purpose of Eben Naturals is to allow customers to have the option to choose the best products for their skin. Eben Naturals founder Milain David sought help from The Launch Pad’s services while he was a student entrepreneur at UM. Eben Naturals sells lotions and creams specifically geared toward people of color. Photo courtesy Milain David. “I won pitch competitions hosted by the Launch Pad, placed in business plan competitions of the university, regularly participated in their venture coaching events and even received one-on-one coaching,” Kowalsky said. Now, Kowalsky has created his own service that mentors and coaches clients on developing big business assets – Ohana United. “We mentor people in all areas of life and coach them on developing a big business asset to replace their day income so they can stop sacrificing their life for a job,” Kowalsky said. Kowalsky does this by having potential candidates for mentorship go through four to six weeks of qualification training. Then, if a candidate qualifies, the company spends two to five years helping that candidate develop an asset that makes more than $100,000 a year. “We are Ohana United because we are uniting a financially independent family of entrepreneurs,” Kowalsky said. Potential candidates can learn more about Ohana United at its website, OhanaUnited.wwdb.biz. The Launch Pad is located in the University Center and is open to students of any school or major and alumni free of charge.